IT wasn't uncommon for Vanessa to have her boys sneak into her bed for a snuggle in the middle of the night. So when Chase, 8, and Tyler, 6, did just this on May 30 in 2010 - she thought nothing of it. 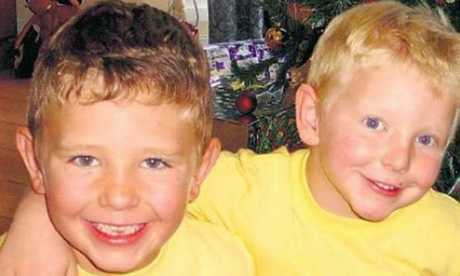 "The boys came into my room in the early hours of the morning, which wasn't unusual being a single mother. They were crying and I thought one had a nightmare and therefore upset the other. We cuddled and went to sleep," she tells Kidspot. The Melbourne mum-of-two could not have possibly known that this would be the very last time she would be able to hold her beautiful boys in her arms ever again. "I remember being in an incredible amount of pain, drifting in and out of consciousness until a constant ringing woke me. I was dazed and confused and my I couldn't move my left arm. I noticed that something was very wrong with Chase and Tyler and called the ambulance and my ex-husband." she explains. "We had lost an entire day and woke up around 6pm on Sunday night. I think subconsciously I knew my children had died, but it took a long time to process it properly." Vanessa felt let down by the government for not creating public awareness about carbon monoxide poisoning. 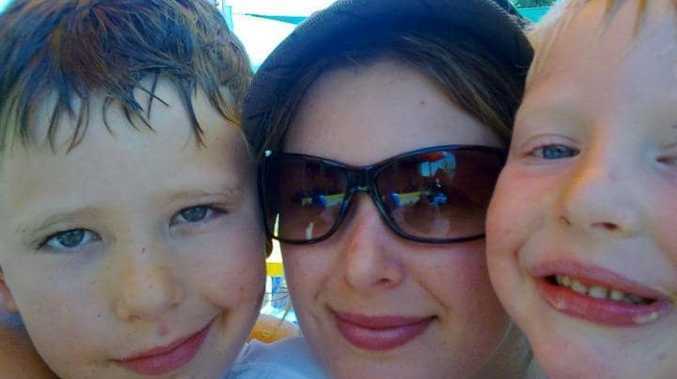 It wasn't confirmed until two days after Vanessa's boys had passed away that they had died from carbon monoxide poisoning from a gas heater leak in the lounge room down the other end of their rental house. But Vanessa was fighting for her own life to be able to truly grasp the enormity of the situation. "It took a long time to process, as I was put in an induced coma and had renal failure and other injuries from the carbon monoxide poisoning," she says. "When I woke up in ICU at St Vincent's hospital, I remember crying and saying to my mother that they had died. But saying that, it still didn't register properly for a long time. I'm thankful that I was quite unwell, as if I wasn't I really don't know how I would have lived through that much trauma while being fully conscious of what had happened." After taking several months in hospital to recover - Vanessa was incredibly lucky to survive - but then the heartbreaking reality hit hard. "Once I was able to comprehend, I was angry, in shock and appalled that this could happen to my family. I just could not understand why such a significant threat to health and life was not even on the government's agenda to bring awareness to the Australian public," she says. "Since campaigning and starting the Chase and Tyler Foundation, we've realised that the issue is more of an epidemic and many community members have been exposed and have been and are currently at risk." Vanessa implores every household to install a CO alarm and make sure you regularly service your household appliances. "If I had had a device like a Nest Protect alarm installed, my children could still be alive. It would have alerted me on my phone before there was ever a problem," she says. "It's an outrage that devices like this are not mandated. CO builds up slowly over time, and a detector is the only thing that will let you know early before the damage is done. What's more, if I had known to get my gas heater checked, the spillage could have been prevented." The level of CO of the gas heater that killed her boys was over 3000ppm when re-testing was conducted - it should be sitting at ). This is why Vanessa started Carbon Monoxide Awareness Week to create the awareness that is so desperately needed. "My other piece of advice would be to hold your children close, always kiss them goodnight and tell them you love them." Although Vanessa has admirably managed to throw herself into awareness for carbon monoxide poisoning - life will never be the same for the eternally broken mother. "There is no such thing as moving on or closure after your children die. You are just existing without a purpose. If you lose your children, then there is no going back to who you were before," she says. "I've managed to work here and there and have been running The Chase and Tyler Foundation since 2011, but life is still very difficult, you just have to have a public face and a private face." Headaches, dizziness, nausea, breathlessness, fatigue, visual problems, pains in the chest or stomach, disorientation, erratic behaviour, collapse and loss of consciousness. Vanessa Robinson is the founder of The Chase and Tyler Foundation. As part of the Carbon Monoxide Awareness Week campaign, she is working with Nest to donate carbon monoxide alarms to communities who are most at risk.